Edited by Jianfeng Cai and Rongsheng E. Wang . Protein interactions, including interactions between proteins and proteins, nucleic acids, lipids, carbohydrates, are essential to all aspects of biological processes, such as cell growth, differentiation, and apoptosis. Therefore, investigation and modulation of protein interactions are of significance as it not only reveals the mechanism governing cellular activity, but also leads to potential agents for the treatment of various diseases. In recent years, the development of biochemistry knowledge and instrumentation techniques has greatly facilitated the research in protein interactions. To provide some background information on the protein interactions, and also highlight the examples in the study of protein interactions, this book reviews some latest development in protein interactions, including modulation of protein interactions, applications of analytical techniques, and computer-assisted simulations. It aims to inspire the further development of technologies and methodologies in the understanding and regulation of protein interactions. Although the chapters included in this book are all addressing protein interactions, we try to separate them into two parts according to their objectives. Chapters in part 1 mainly focus on the investigation of some specific protein-protein or protein-nucleic acid interactions, and try to elucidate the mechanism of specific cellular processes. 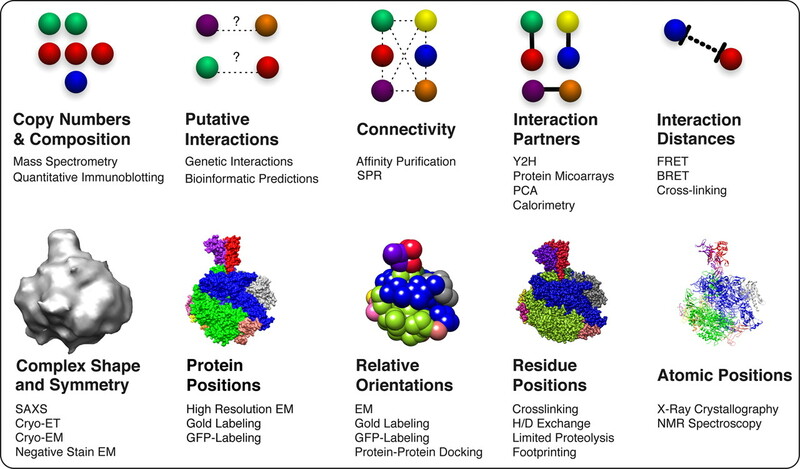 Part 1 provides some insight of why and how to study protein interactions, and illustrates some approaches to modulate protein interactions. The second part is devoted to the development of various methods for the investigation of protein interactions, including computational modeling. Methods used to study protein interactions often evolve rapidly and many innovative methods or approaches are emerging in this field. The chapters shown in this part would shed light on the further development and application of analytical techniques and computer simulations. I would like to thank every author because they have devoted their effort and expertise to prepare the outstanding chapters included in this book. I also thank Dr. Rongsheng E. Wang, the co-Editor of this volume, for his tremendous help on the review and editing of the book. Meanwhile, I want to express my deep appreciation to Ms. Marina Jozipovic for her tireless efforts in distributing, organizing, and processing all of the chapters.